This Safavieh Courtyard area rug is a great high-quality option for livening up your home. Decorate the right way with this indoor/outdoor piece constructed from plush synthetic material. Since it is machine-made, you can trust the quality on this rug. Modern style meets quality in this geometric patterned grey rug. This Safavieh Courtyard area rug is a great high-quality option for livening up your home. Make your hallway, dining room, or living room more stylish with this indoor/outdoor plush synthetic rug. This machine-made rug is durable and modern. 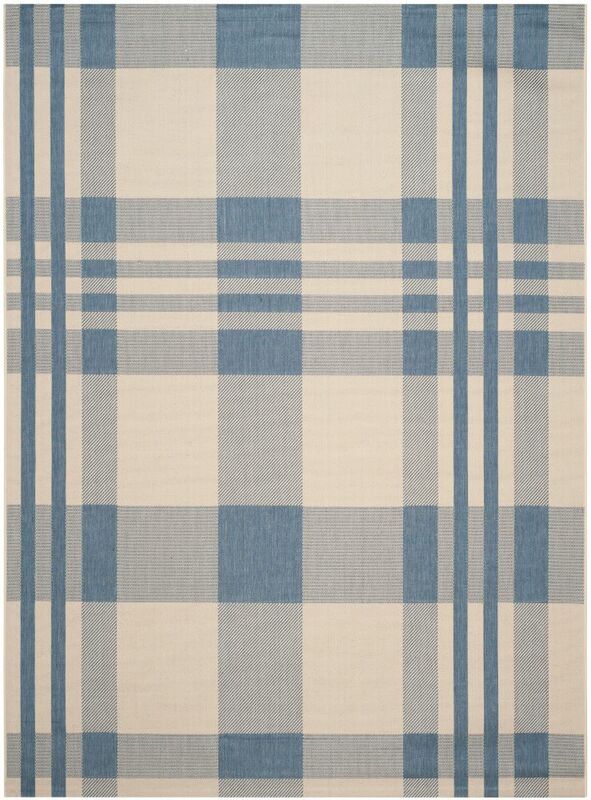 Quality is assured with this geometric patterned blue rug. This stylish Safavieh Courtyard area rug is a high quality dicor option. Make your hallway, dining room, or living room more stylish with this indoor/outdoor plush synthetic rug. Contemporary comfort comes in the form of this machine-made rug. Quality is assured with this geometric patterned grey rug. Courtyard Daphne Beige / Blue 8 ft. x 11 ft. Indoor/Outdoor Area Rug Place this contemporary Safavieh Courtyard area rug in your home for a piece that makes a statement. Bring this high quality plush synthetic indoor/outdoor rug into your home to upgrade your interior design immensely. This machine-made rug makes long-term decorating easy. Include this geometric patterned blue rug in your living spaces for a high quality and high fashion look.